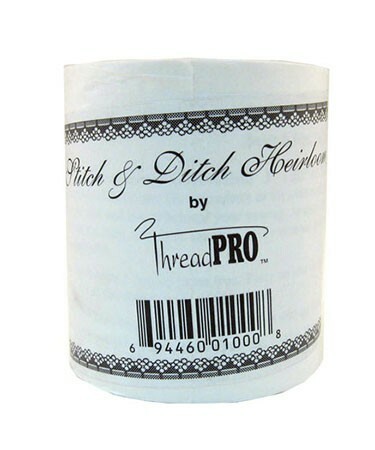 Embroidery stabilizer is used to stabilize the fabric during machine embroidery, keeping the fabric from moving, puckering or stretching while stitching. Embroidery stabilizers are used for all types of embroidery, be it professional style hoop embroidery, free motion embroidery or decorative stitching. 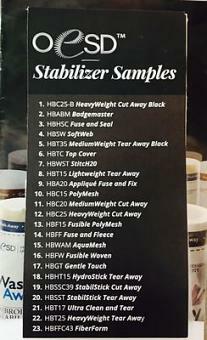 Some stabilizers also have other uses in sewing artwork, so be sure to check out the uses for each type of embroidery stabilizer we sell. We carry the most popular brands; Sulky, OESD, Pellon and more. Each is the highest quality to provide superior results over bargain stabilizers.